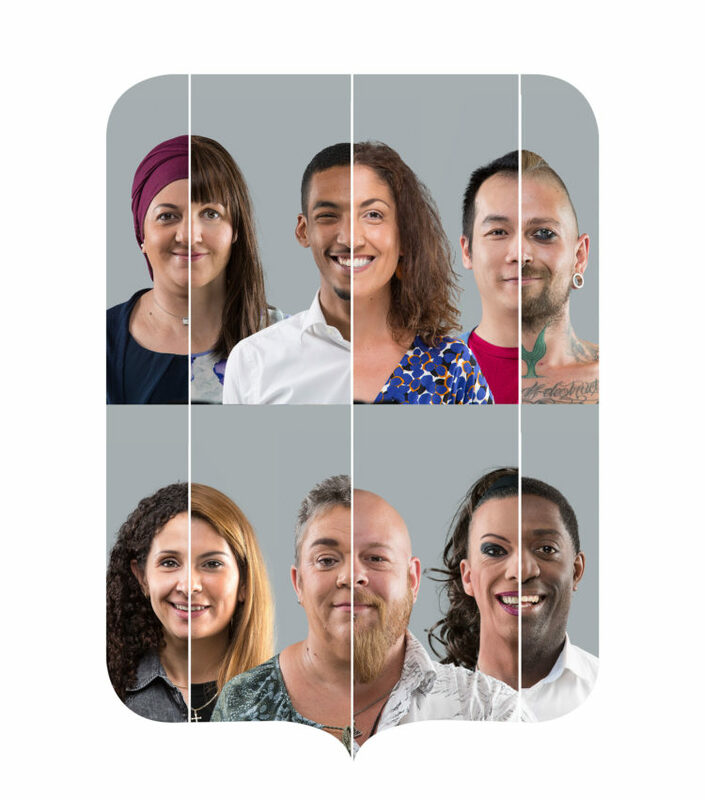 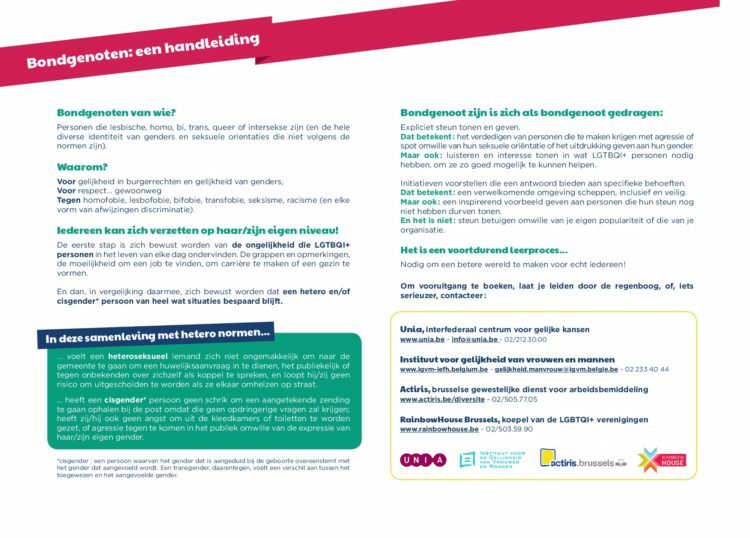 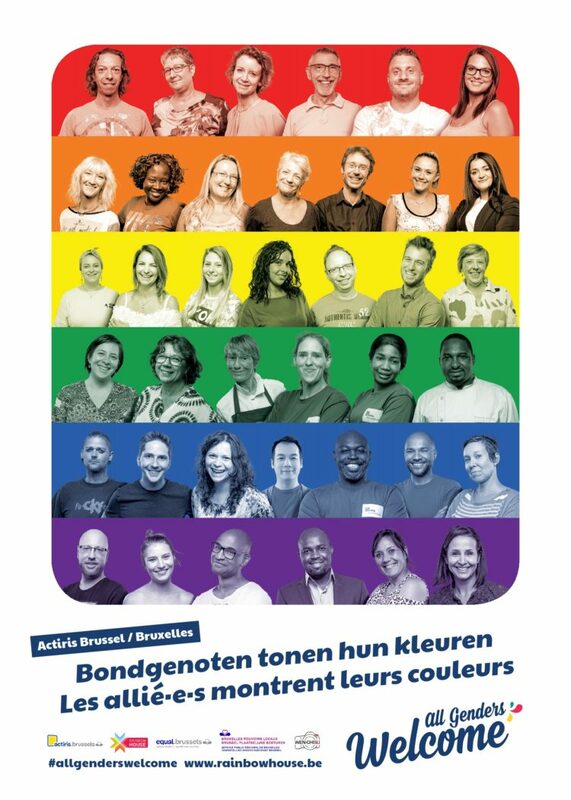 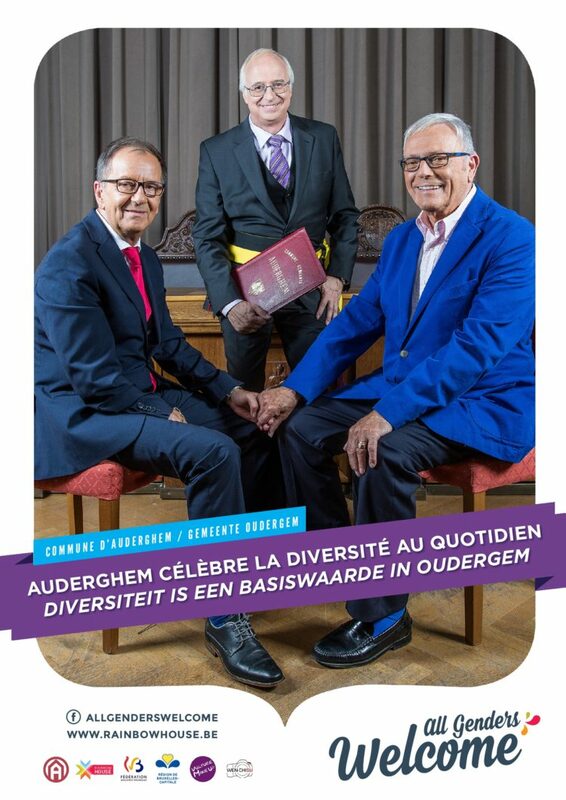 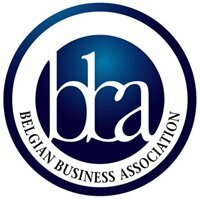 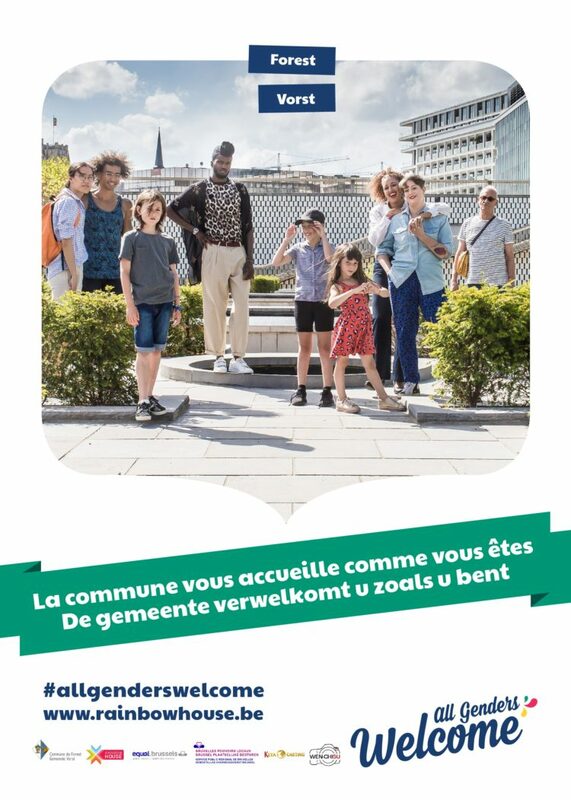 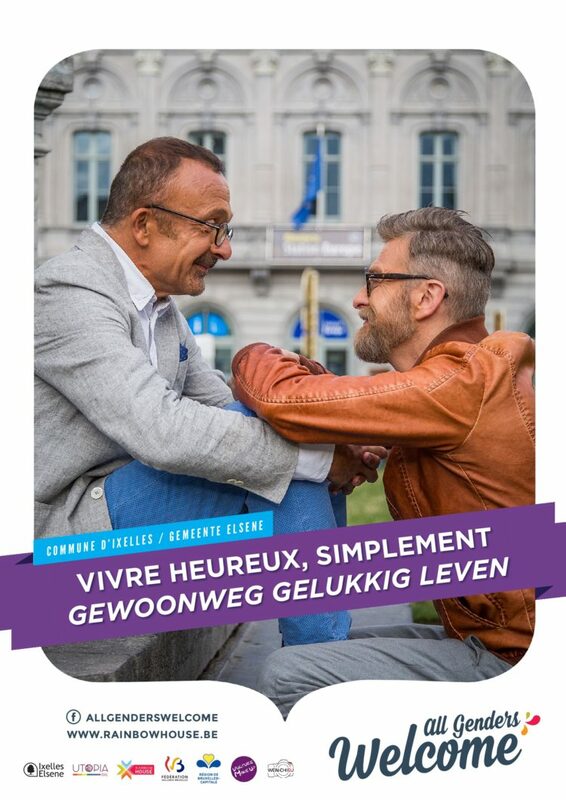 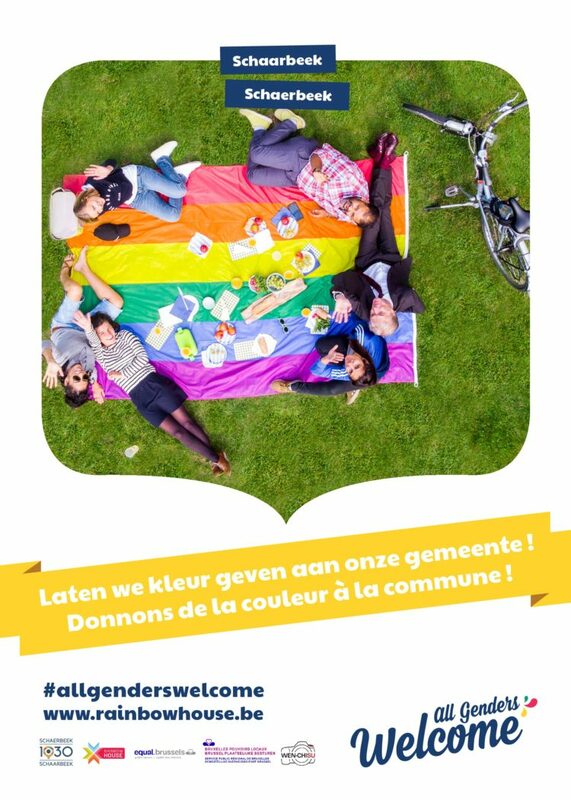 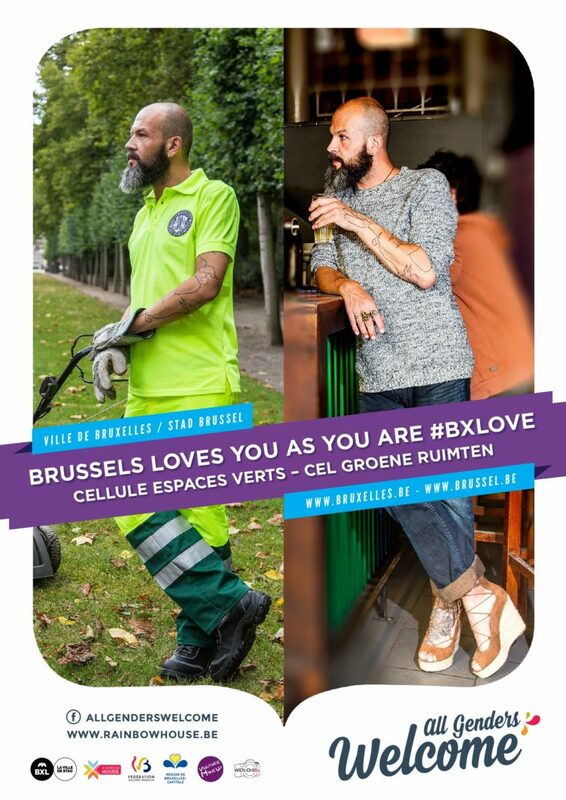 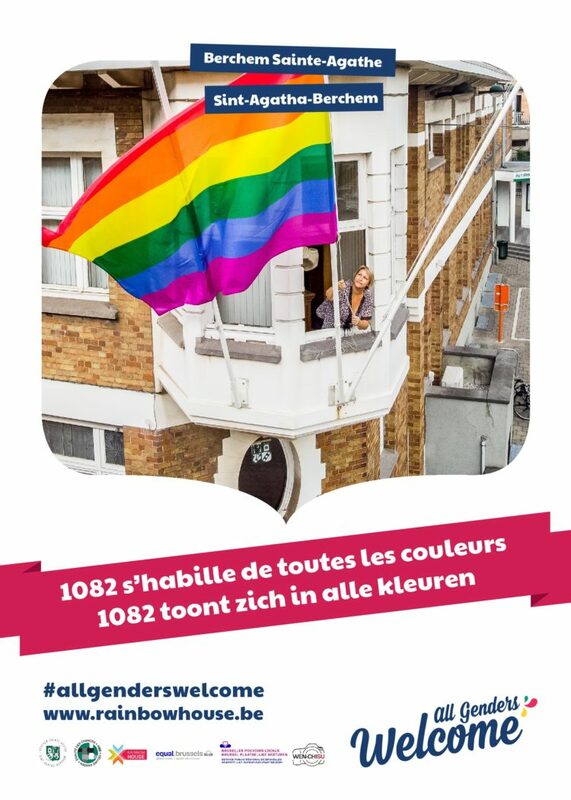 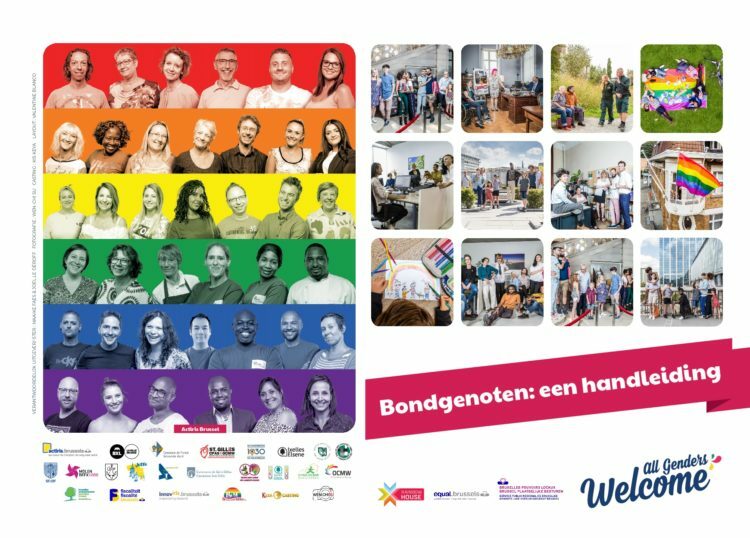 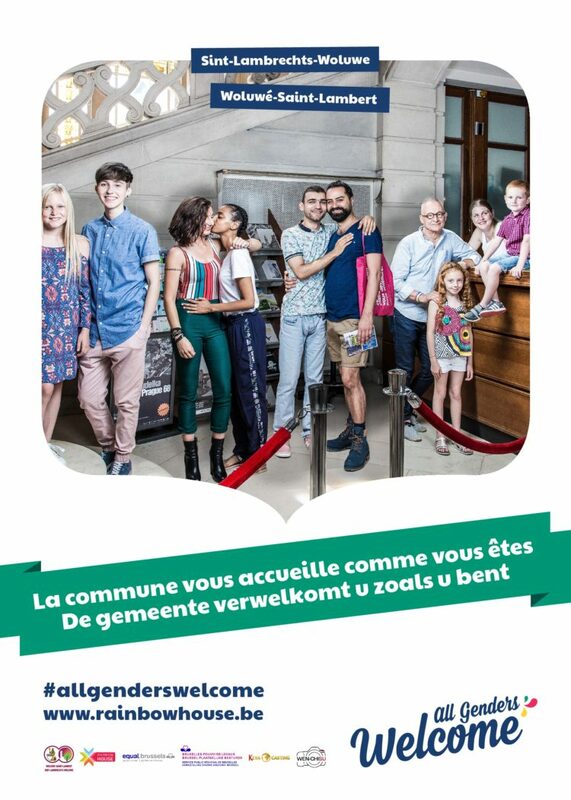 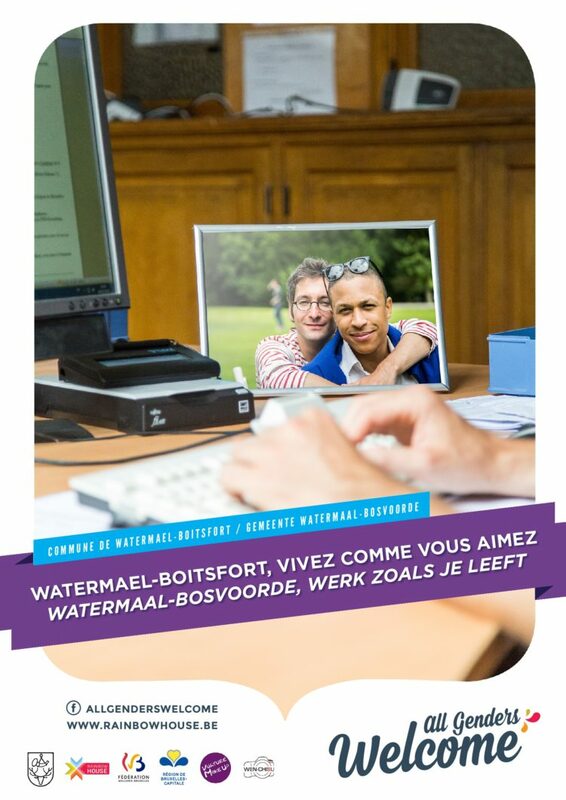 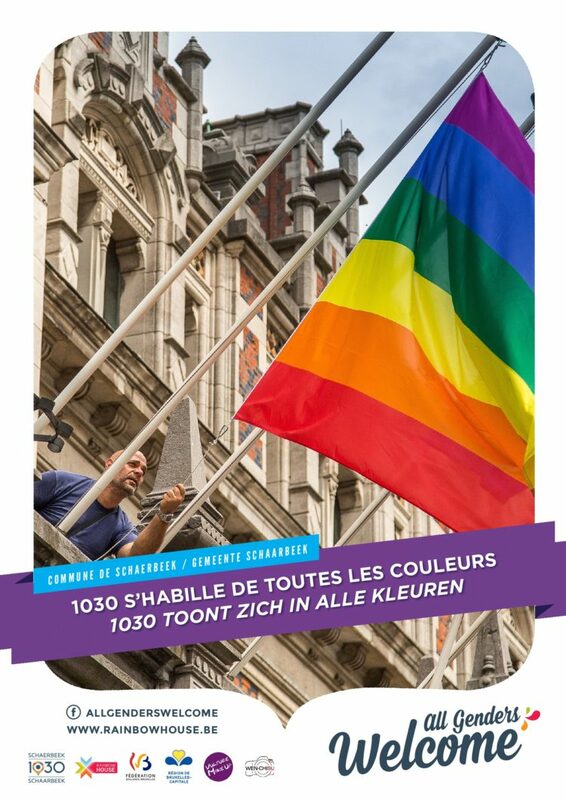 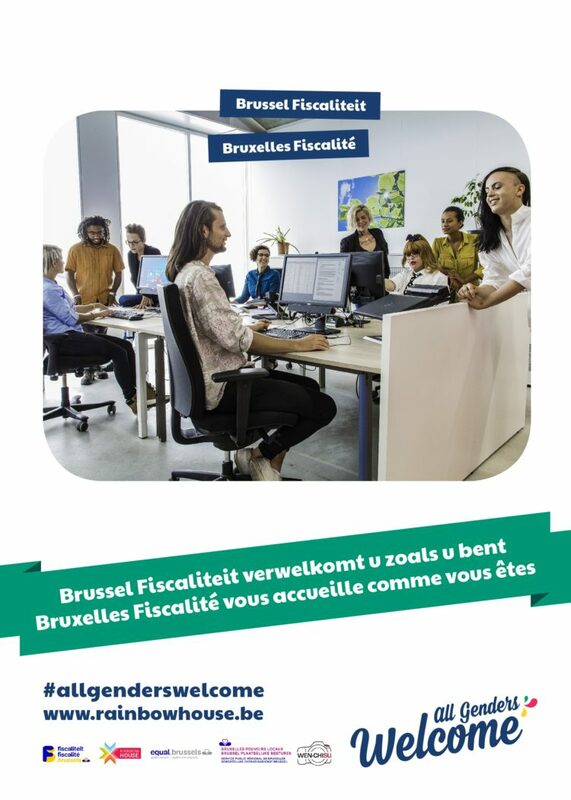 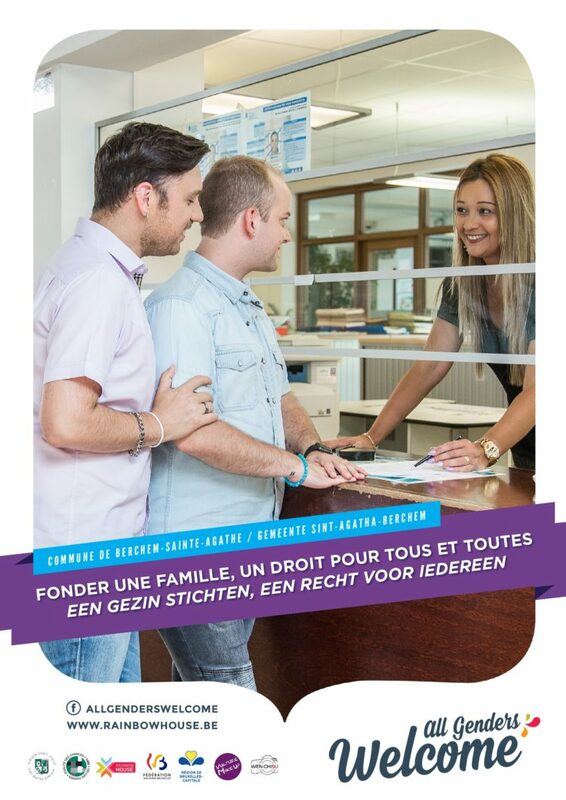 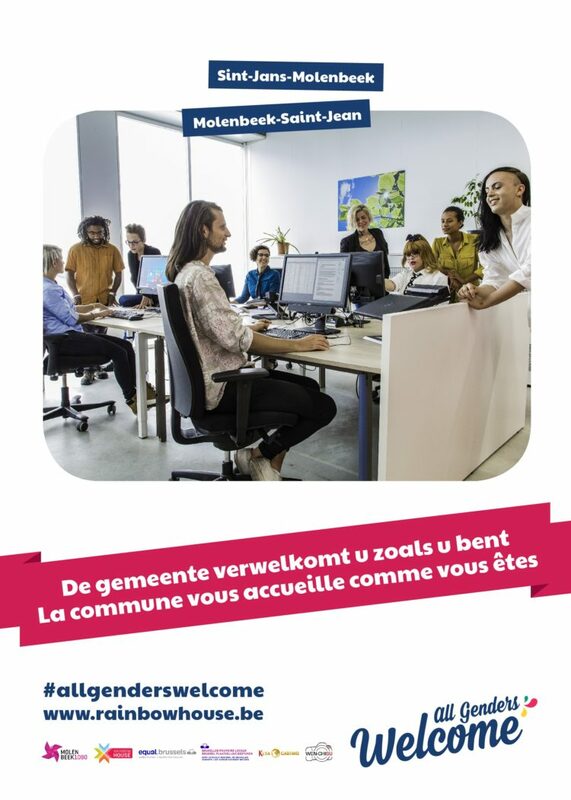 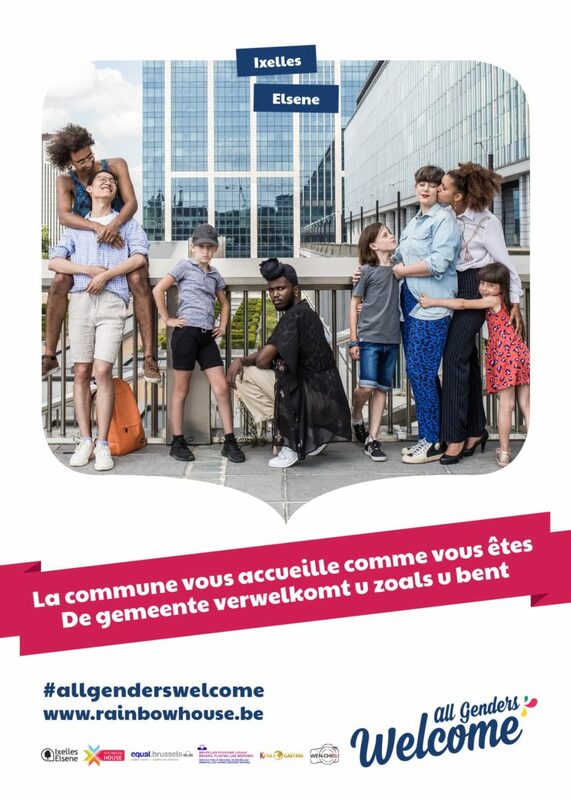 All Genders Welcome is an awareness campaign by the RainbowHouse for companies and municipalities in Brussels, with the support of the Brussels Capital Region and the Fédération Wallonie-Bruxelles. 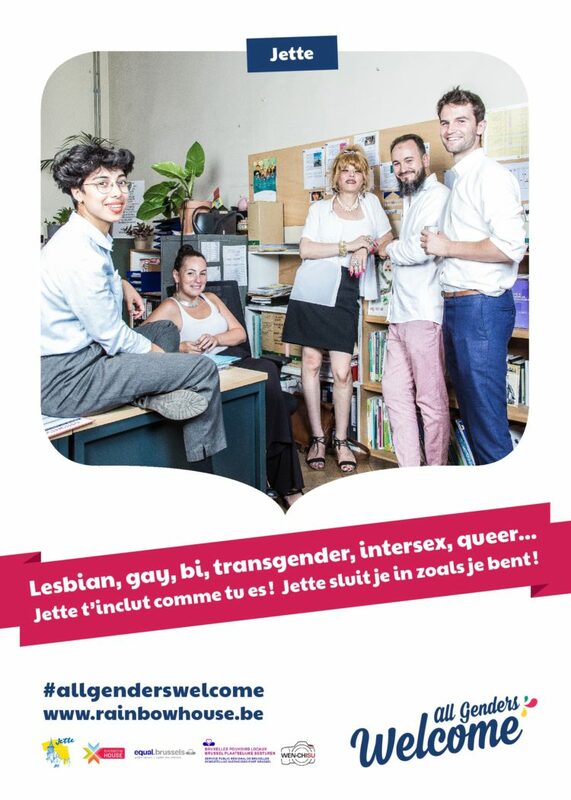 This year we are made up of 20 partners who will take part in the two major actions of the project: the elaboration of inclusive images for a graphical campaign and a series of staff trainings concerning LGBT topics (Lesbian, Gay, Bi, Trans, Queer, Intersexual, and so on). 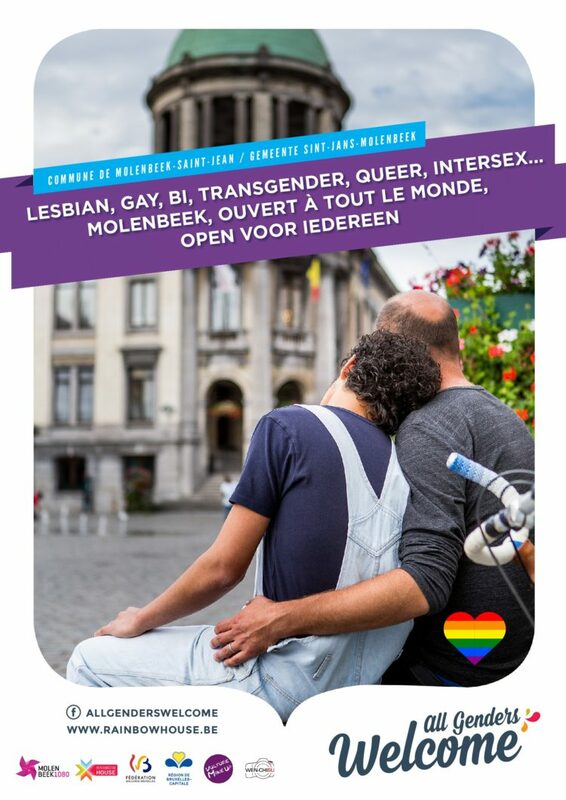 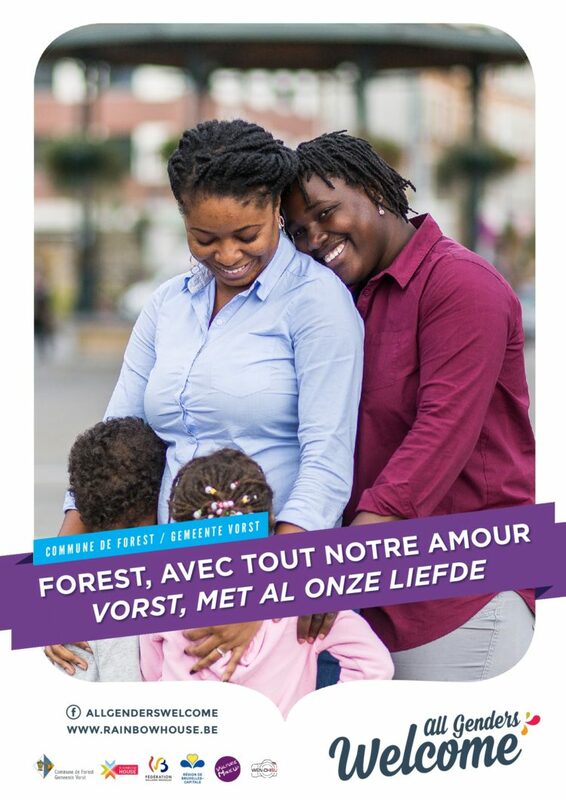 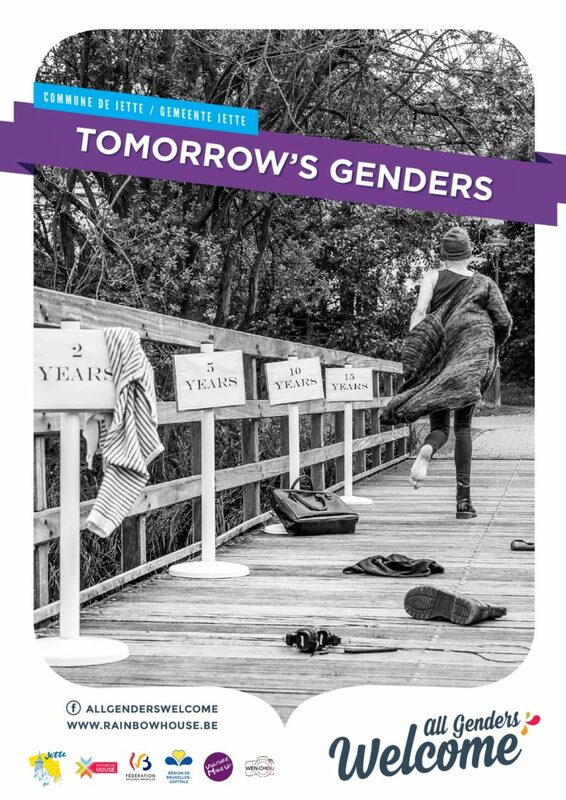 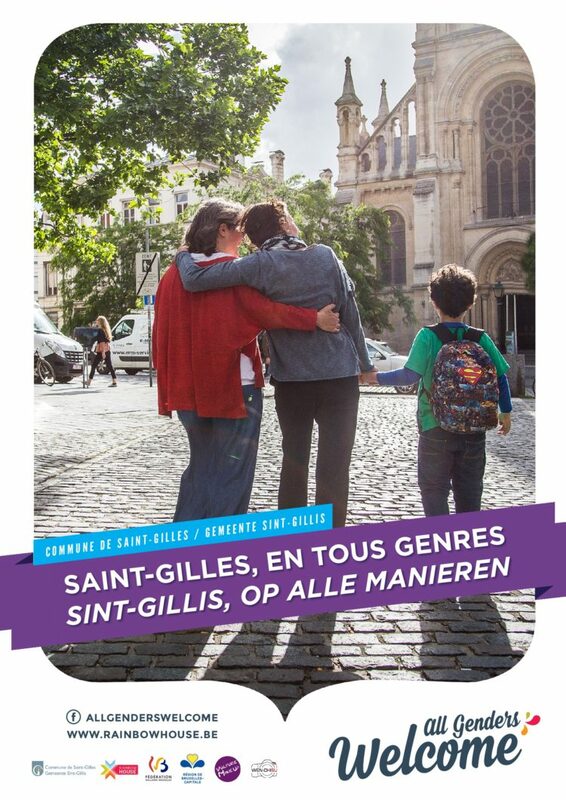 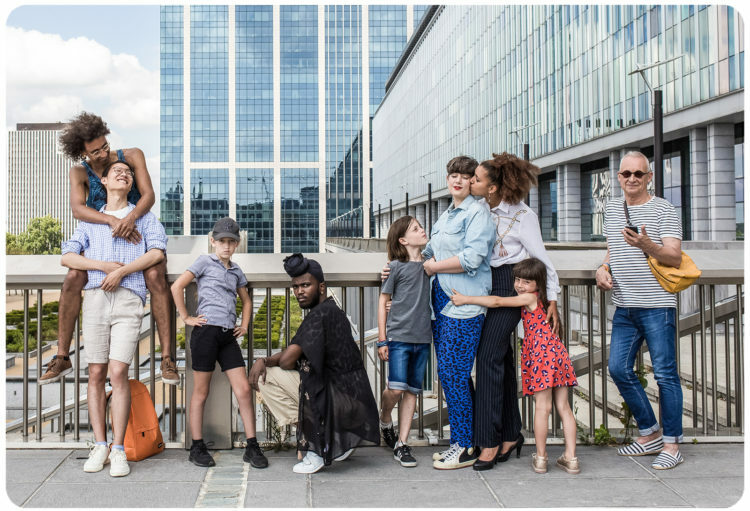 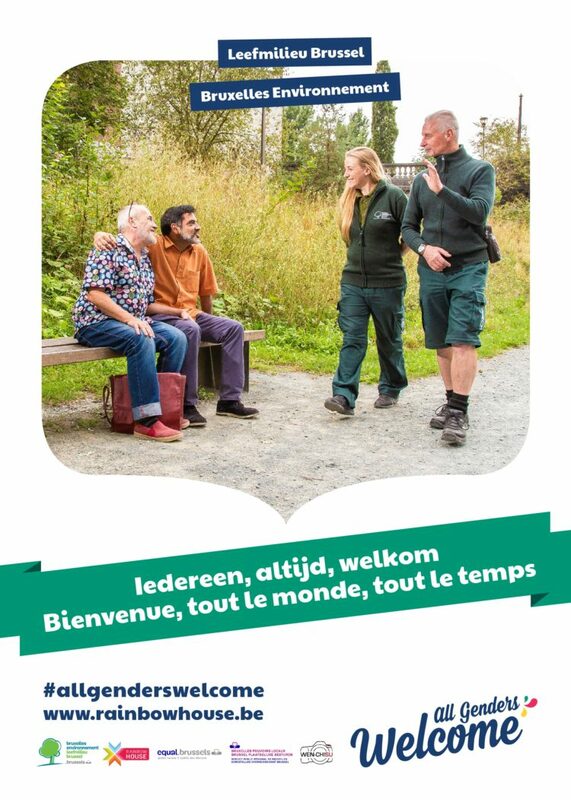 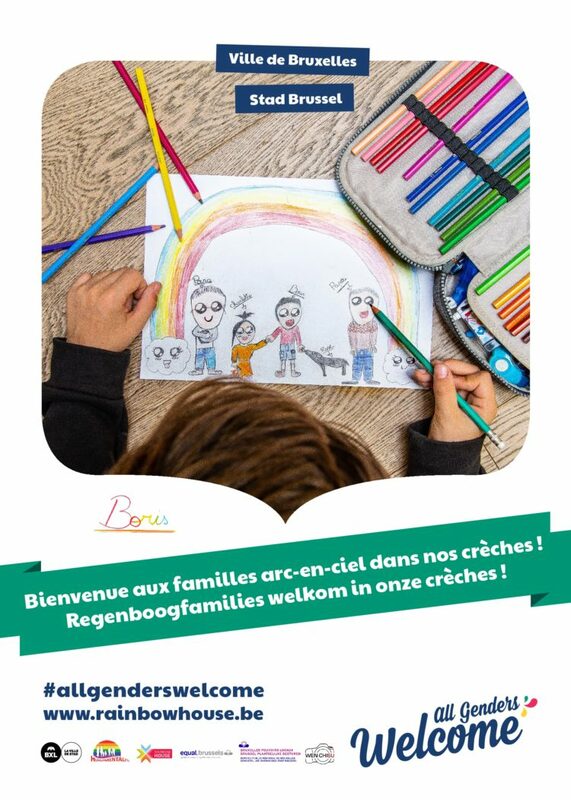 As all couples and families are welcome, as each individual has the right to experience in all freedom her-his-their gender identities, and as the public space belongs to all inhabitants of Brussels, we proudly propagate the motto “All Genders Welcome”.